In his seminal work, The Spirit of Democratic Capitalism, Michael Novak provides his readers with a “Theology of Democratic Capitalism.”1 Now, some might find his theology a bit eccentric, elevating, as it does, competition and the will to power to the status of quasi-theological virtues,2 yet his central insight is still correct: every economic system implies a theological one, some view of man and his relationship to his society, to nature, and to God. This is a crucial point in light of the claim of modern economics to be a “pure” science, and hence exempt from the moral order. As we do not subject the findings of the chemist to moral scrutiny (although we may subject the uses to such examination) neither can we subject the findings of the economist to such a test. But if it is a science that deals with human relationships, then it is indeed a moral science, and the “morally neutral” space claimed by the economists simply does not exist. But for any question of “liberation,” we must ask, “Liberated from what? And towards what? And at what price?” And now that the whole world has experienced this liberation, whether they wanted it or not, and the system itself seems to be experiencing yet another crisis, it is good to inquire into the origins of this freedom and the means of its globalization to see whether this “liberation” was something man in general desired, or what he was required to pay to get it. And there can be no better vehicle to examine this question than by examining the history of the first commodity to be industrialized and globalized: cotton. Beckert lays out in often excruciating detail precisely how this world-wide “liberation” was accomplished by capitalism. In the common narrative, the superior technology of England combined with the free market to out-produce all competitors to create a global market, universal prosperity, and, as a by-product, liberate millions of peasants from a lifetime of drudgery and hopelessness. The actual history is otherwise, and has very little to do with the freedom of the markets or even with technological superiority. But any account of the industrial history of cotton must begin with its pre-industrial history, a history that was stable for millennia. Cotton is a remarkable fiber, easily grown in a wide variety of warm climates. Unlike wool, it easily takes up dyes or can even be printed so that the people who wore cotton were simply more colorful, more fashionable, than their northern neighbors clothed in drab woolens. Cotton was grown for millennia as part of subsistence farming or for local industry. “Subsistence” has a bad odor for us, indicating ignorant peasants spending their lives in an endless routine of drudgery that provided a precarious existence at best. This is certainly true of subsistence wages, but on the farm, subsistence meant self-sufficiency, ownership of land (in greater or lesser degrees), and security. But above all, it meant family and community, for these were vital to the success of the farm and without them it could not exist at all. The subsistence farmer in warmer climes interplanted cotton among his food crops in sufficient quantity to meet his family’s needs, with some extra, perhaps, to sell to local manufacturers as a cash crop. In the winter months, the cotton would be cleaned, carded, spun into yarn and made into cloth to provide clothing for the family. Each homestead was equipped with a variety of machines and tools to process the cotton into yarn and cloth and clothing. Home production was supplemented by commercial production which established local, regional, and long distance markets, mainly in finished cloth to furnish the needs of urban populations. But change was coming, which first manifested itself in technology. The first was the rather simple device of the “flying shuttle” in 1733, which doubled the productivity of weavers. This produced a bottleneck in the supply of yarn, since the spinsters at their wheels could not keep up with demand. This bottleneck was broken by the “spinning jenny” in 1760. This was further improved by connecting the jenny to water power in 1769. The spinning jenny was mainly used in homes, but the Arkwright water frame allowed for industrial production. At first, this was a boon to home weavers, as “putting-out” networks brought prosperity to the weavers, and commercial production quickly overtook home or local use. But this prosperity was short-lived, as weaving itself became automated. But it was not India, but America that would be War Capitalism’s greatest achievement, and the Southern Plantation that would become the cotton lifeline of the mills of Manchester. The Indian government had to deal with systems that had been in place for millennia, but America had unlimited supplies of land and access to capital, and the planters had nearly unlimited political power. By expropriating vast tracts of land from the American Indians, the planter opened new vistas to War Capitalism.10 But mostly, the planter had labor, docile and degraded, in the form of slaves. And the slaves could be used as collateral for loans, to open up new fields which required more slaves. The cheapness of American cotton drove out local manufacturers everywhere, as Britain could undersell the whole world. The American planters became the most important suppliers of the world’s most important product.11 The wages paid in Manchester were dependent on slavery in the South. Other mass industries were made possible by the growth of the cotton mills, especially the railroads and the iron industry. But cotton was the vanguard.12 Industrial capitalism required powerful state actors to build infrastructure, provide administrative frameworks, discipline labor, and, especially, to provide protection for its products. The techniques of mass production pioneered in the cotton industry spread rapidly to other industries. But aside from a strong state, what the industrialists needs was free access to capital, while capital required free access to the world. Great banking houses like the Barings and the Rothschilds forged important connections to cotton,13 and from there they become important in mass production everywhere and in every product. And this capital was international, liberated from all national boundaries and free to roam the earth in search of profit; profit, not the improvement of man or the community, would be (and remains) the sole motivation and single measure of economic success. But why wouldn’t the peasant or the yeoman want to be liberated from household production? It was, after all, a lot of drudgery; the whole winter might be spent in cleaning and carding the cotton, spinning it into yarn, weaving it into fabric, and making it into clothes.21 The spinster spent her days at the wheel, tedious work indeed. But on the other hand, it was a work in harmony with the home and in rhythm with the family. And most important, it was directed by her own will. She could stop to comfort a crying child, cook a meal, or just step outside for some air. And the product was hers, even if she had to sell it for taxes. Done well or badly, it was an expression of herself; it was a source not just of income, but of pride. The spinster was liberated from her wheel, the weaver from his loom. But neither was liberated from the wheel and the loom; they were liberated only from the ownership of these things. Their lives would no longer be regulated by the rhythms of their own wheel in their own homes, but by somebody else’s wheel spinning to build somebody else’s home. And this home could never be large enough or grand enough; the wheels had to spin faster and faster to supply its needs. In the process, Manchester was industrialized but England was deindustrialized. The process of industrialization is more accurately called industrial centralization, as all the wheels were sucked from all the homesteads and into the great city. And the positions of man and machine were reversed. No longer was the wheel the servant of the spinster, but the man the servo-mechanism of the wheel, just that bit of the process that could not, as yet, be automated. And each weaver that lost his loom, each spinster that lost her wheel, and each child that lost his home became a potential laborer for the new industry and a potential customer for its output. Nowhere is the story of wage labor more telling than in the case of the Freedmen in the American South after the Civil War. The wisdom of the world doubted that cotton could be grown by paid labor. Freedom would make cotton, it was believed, into a luxury fabric, and the vast industry would shrink to minuscule proportions, causing a disaster for the nascent industrialism of Europe. This could not be allowed to happen. Share cropping arose as the compromise with compulsory contracts. Disenfranchised, stripped of his rights, and trapped under money debts, the newly liberated slave would find very little actual liberation. The system guaranteed that he would have to grow the money crop and abandon any ideas of self-sufficiency to pay for the rents and advances given by the landlord. But mostly it guaranteed that the sharecropper would remain in poverty.24 And it worked. 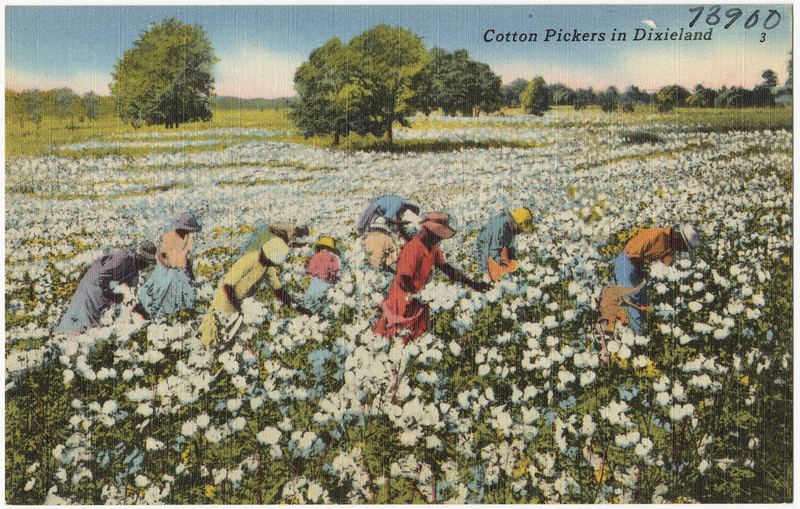 By 1870, more cotton was grown in the South than in 1860.25 And the price of cotton fell, from $0.27/lb in 1870 to $0.07/lb in 1894.26 “Free labor” was cheaper than slavery. Slavery incurred costs in season and out, and could not easily be adjusted to boom and bust cycles. Wages and debt slavery shared neither of these handicaps. In sum, liberal capitalism had liberated labor from all that had traditionally been its own,27 from all connection with land, with family, with community, and even with the economy, save for the marginal connection provided by the wage and what it could purchase. But if the liberation of labor from place and community was paradoxical, the liberation of capital from these same things was a genuine liberation indeed. The wealth generated in one land was no longer tied to that land and bore no responsibility to its place of origin. Thus wealth generated in, say, Ghana could be invested in an oil well in Texas, an apartment block in Beijing, or a factory in Bangladesh; there is no obligation to the people and nation that built the wealth. Rather, it is free to circle the globe always looking for a higher return. This is liberation indeed. Capital forms a true brotherhood of the wealthy which if not really catholic, is at least cosmopolitan. The oil official skimming profits in Nigeria or Saudi Arabia, the futures trader in London, the industrialist in Shanghai, and the software magnate in Silicon Valley are more united with each other than they are with the worker down the street in their own home cities or the farmer a few miles away in their own countryside. They shop together in Paris, ski together in the Alps, hold power lunches in Manhattan, and gather in Davos to discuss the fate of all the lesser beings that work in their enterprises, or who can find no work at all. And wherever the workers aspire to join the middle class, capital is free quit that place and seek another, one with a more pliable workforce. In this way, they are liberated to divide the workers against each other. If the government of Indonesia demands that Nike pay its workers $2/day, Nike can move to Vietnam, where they are willing to work for $1.50/day. The solidarity of the capitalist is used to break the solidarity of the worker. But there were two problems with Novak’s thesis. The first was that he touted the “free market” as the engine of liberation, or what Novak called “the natural system of liberty.”29 But if the history of cotton shows us anything, it shows us that this “free” market never existed; it was and is a complete myth. The industrialized world had been built by a combination of government power and private privilege. 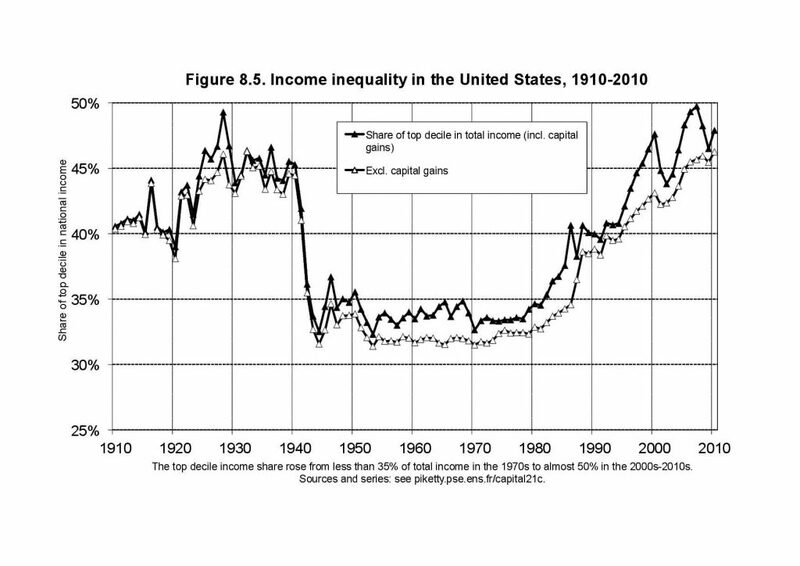 Nor was this more egalitarian society achieved by the market, but by the policies set in place by the New Deal or by similar “Social Democratic” policies in Western Europe. But these policies would be largely reversed in the United States by Ronald Reagan, and Margaret Thatcher would perform the same service for Britain. A good deal of our social and political dysfunction can be explained by the fact that the expectation of good jobs and a middle-class life that was normal in the 70’s and 80’s have been placed out of reach for too many of our fellow-citizens. The real problem, however, is that Novak’s understanding of “liberty” is abstract and individualistic; he reduces “community” to contractual relations and deprives freedom of any material content. But humans are social and political beings; they can only flourish in connection with a community, and communities can only be sustained by flourishing individuals. And since the human is also a material being, he can only flourish with material means, such as land, tools, and education. Take away natural communities and material means, the person become a pure individual, isolated and alone. And such an individual becomes a prey to collectivism and mass society. And a prey as well to demagogues. Expound a bit on your assertion that ‘the family was on the road to perdition?’ What family structure do you endorse? Karen, I don’t think the question is about the structure of the family so much as it is about the economic structure necessary to support the family. Capitalism is incapable of doing this since it has an anthropological problem, and an anthropology that is basically at odds with the family, indeed, at odds with the human, which is a strange position for an anthropology. The ultimate capitalist fantasy would be to do away with mothers and fathers completely and produce babies as needed in test tubes and raise them in state-sponsored, for-profit “factories.” In this fantasy, the labor supply would be matched to the market, with some having DNA coded to be programmers, others to be manual laborers, etc. But we are close enough to that already. Persons are regarded first as workers, and only secondarily as men and women, and not at all as members of a family or community. Or at the very least, these last are only temporary and contractual structures, to be dissolved as needed. If you think that judgment is too harsh, I could direct you to, say, Kevin Williamson’s opinion that what shrinking cities need are uhauls to move the people to places where the “job creators” have established the need for a workforce, and more them again when the JCs so decide.